Well after a two week delay the first Warhammer 40,000 movie is shipping to customers at last. 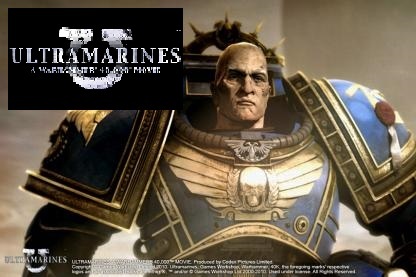 Ultramarines: A Warhammer 40,000 movie is a 3D animated film set in the Warhammer 40,000 universe. The screenplay was written by Dan Abnett, of Gaunt’s Ghosts and Horus Heresy fame. The movie was previewed to a number of folks all of whom have given it good marks. The movie is a DVD-only release and will not appear in theaters. 40K Radio has a nice interview with the primary producer of the film from Codex Pictures and discuss their private screening of the movie. Bell of Lost Souls also has an interview with Bob Thompson of Codex Pictures and a preview of the movie. Episode #12 of 40K Radio also has a very good interview with Producer Bob Thompson (forward to 1:23:30 to get right to it). Read our comments on the film. This entry was posted in News and Updates, Sci-Fi, Warhammer 40K.